A suspended MTA train operator has been convicted of manslaughter for running over a celebrity jeweler in Forest Hills in 2015 during a road rage incident. Long Island resident Charles Jordan, 48, faces up to 25 years in prison after being convicted of first-degree manslaughter and leaving the scene of an incident. He will be sentenced on March 28. 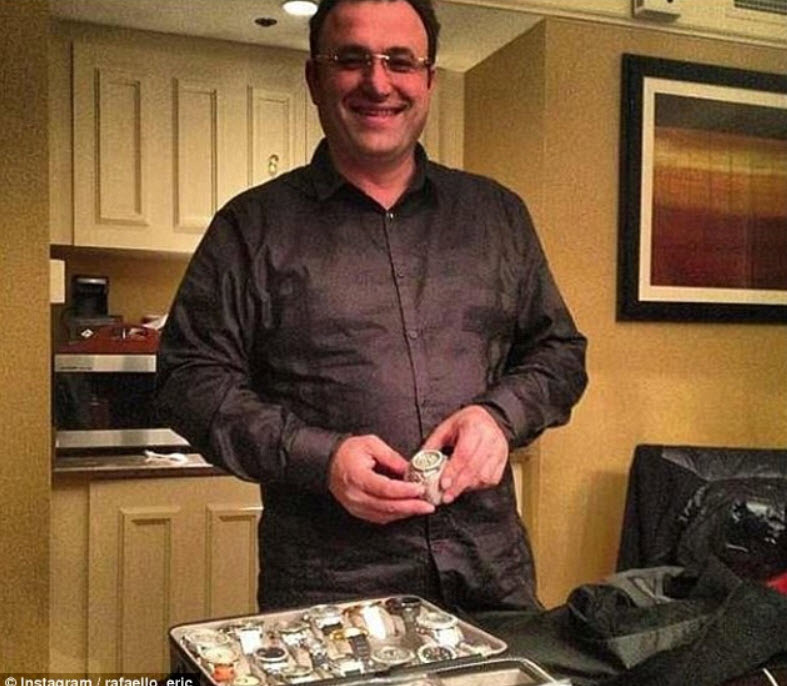 The victim Aron “Eric” Aranbayev, 40, was the co-owner of high-end jewelry store Rafaello & Co. in Manhattan. Jordan was driving a dark blue 2005 Magnum on 71st Avenue shortly after 11 p.m. on July 19, 2015. Aranbayev was being dropped off at his Forest Hills home by another man at the time when Jordan sped by. Aranbayev reportedly yelled out to Jordan for speeding. Jordan backed up his car to confront the victim, and the two men began to argue. He then backed up again, revved the engine and plowed the car into Aranbayev. Jordan sped away without stopping. Aranbayev sustained a skull fracture and brain damage, and died the next day at Jamaica Hospital. Several of Aranbayev’s clients, including boxer Floyd Mayweather, offered rewards for information on the incident. The evidence that led to Jordan’s conviction included video surveillance, said Queens Attorney General Richard A. Brown. “The victim’s death rose out of a petty dispute on a residential street that ended with a 40-year-old man fatally injured,” said Brown. Aranbayev was the father of three young children, the youngest of whom was six months old at the time of his death.